A Year of Being Here: Chelsea Rathburn: "A Raft of Grief"
in the water. The two words are homonyms. "A Raft of Grief" by Chelsea Rathburn. Text as published in A Raft of Grief: Poems (Autumn House Press, 2013). Reprinted by poet permission. 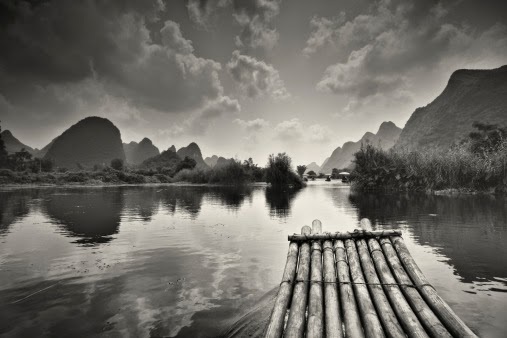 Art credit: "Bamboo Raft on Li River," photograph by Didier Marti. From the caption: "Located in Yangshuo countryside near City of Guilin, China."